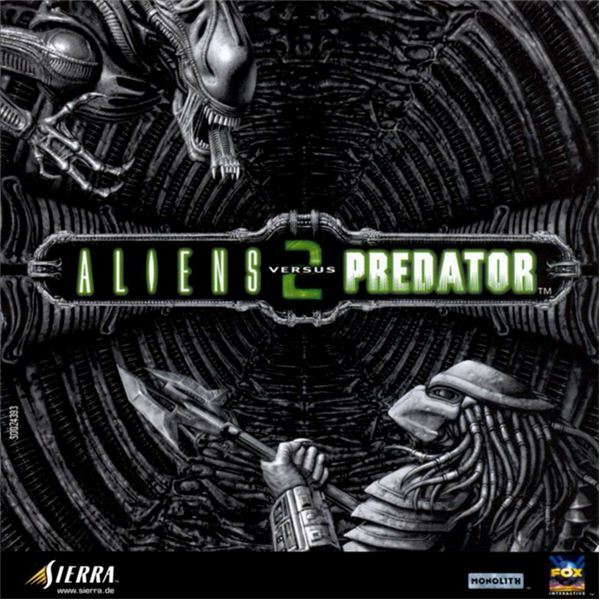 Alien Versus Predator 2 was a first-person shooter sequel released in 2001. 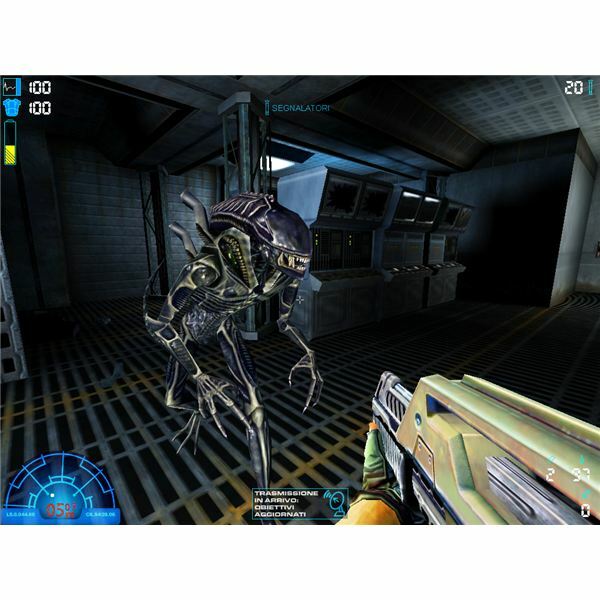 This time around the game was developed by Monolith and once again the player could play through three separate campaigns as an Alien, Marine or Predator. This version featured a more developed plot than the original Alien Versus Predator and offered graphical and game-play improvements, a more balanced multiplayer mode and the ability to save during missions. It was an excellent title with a high level of polish and the overlapping story was unusually engaging for an FPS game. The game was set fifty years after the film Alien 3 and the action took place on a spaceship called the USS Verloc and a planet known as LV-1201. Once again the player had the option of playing through three campaigns as an Alien, Marine or Predator but in this release the storylines cleverly overlapped with each other and so at various points you would catch glimpses of the other storylines and see their impact on your current campaign. 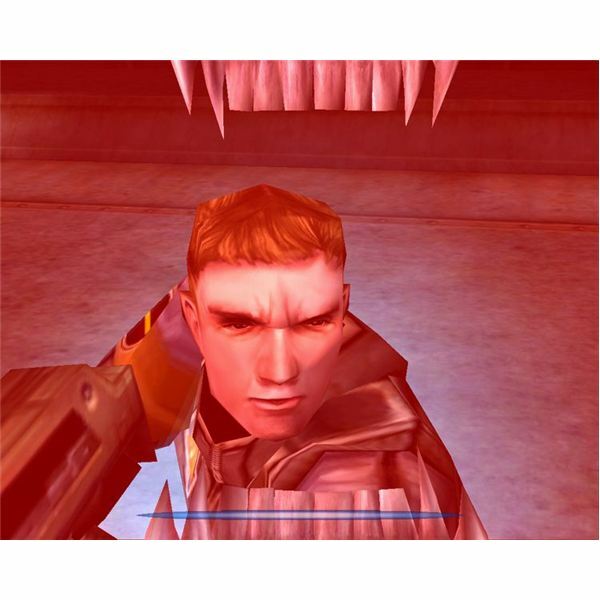 Playing as a Marine you were cast in the role of Corporal Frosty and had to investigate the research facility on LV-1201 battling hordes of Aliens along the way in your struggle to rescue the surviving Marines stationed there. You also came across a Predator, an Alien/Predator hybrid and the Alien Queen herself before the action was through. The Marine role was the most accessible and you were equipped with standard weapons you’ll recognise from the films. The Predator role once again featured an array of weapons and abilities including your shoulder mounted canons, throwing disc and wrist mounted blades. You could also engage infrared vision and your cloaking device for short bursts. The Predator storyline saw you captured by the Marines and then accidentally released during the Alien attack. It was a tricky challenge as you had to recover your weapons along the way and battle Aliens and Marines in your pursuit of the evil Marine General Rykov. However, the best of the campaigns cast you in the role of an Alien. This progression featured one of my favourite openings to a game ever as you start the action embedded in the chest of an unfortunate Marine and have to munch your way out. To begin with you are small but very fast and you have to evade Marines and pick them off carefully in order to grow. As with the original game you can climb walls and run along the ceilings eviscerating your prey with claws, tail or slavering jaws. The single player campaigns offered a few hours of entertainment each and the overlapping storylines made it an extremely enjoyable experience. However the game really came in to its own with the excellent reworked multiplayer action. This game looked a lot better than the original Alien Versus Predator and it really captured the atmosphere and look of the original films. Once again the human architecture worked best and while the blocky space corridor environments were hardly breathtaking the maps were very well designed and accommodated the linear progression extremely well. The character models were also greatly improved from the original with the Marines clearly recognisable and the Aliens capable of growing through the various stages of development from Face-hugger, to Chest-burster, all the way up to Alien Queen. The multiplayer modes were reworked and while the co-op mode from the original was removed they added assault and defend options in addition to the standard Deathmatch, Team Deathmatch and Last Man Standing modes. They also added an evacuation mode but the best fun was still to be found in Team Deathmatch. The most interesting aspect of the Multiplayer game, playing as an Alien, was the ability to grow into a larger version of the species. Tactically the game worked well, while the Predators were still the most powerful option their numbers could be limited and Marines who stuck together as a squad could definitely hold their own. When it came to tight areas of the map the fast running Aliens ruled the roost and the addition of a leaping move made it easier to compete against the heavily tooled up Marines and Predators. This was graphically a big leap up from the original and consequently the system requirements jumped as well however they are still fairly basic by modern standards. All you need to run the game is a 450MHz CPU, 128 MB RAM, DirectX 8 capable video card and sound card and around 500MB of hard drive space. The game ran brilliantly in single player but the multiplayer was very laggy on release, something the developers fixed with a patch soon after. Surprisingly this release was criticised for being too similar to the original but personally I think it offered a number of improvements. The most obvious addition that gamers were crying out for was the ability to save during a mission, something which was missing in the original game. The developers also achieved a higher standard visually and produced a better designed multiplayer option which was more balanced and featured some great maps. All in all Alien Versus Predator 2 was an excellent FPS title and represented great value for money in terms of content and replay value, not to mention some fantastic Alien action.